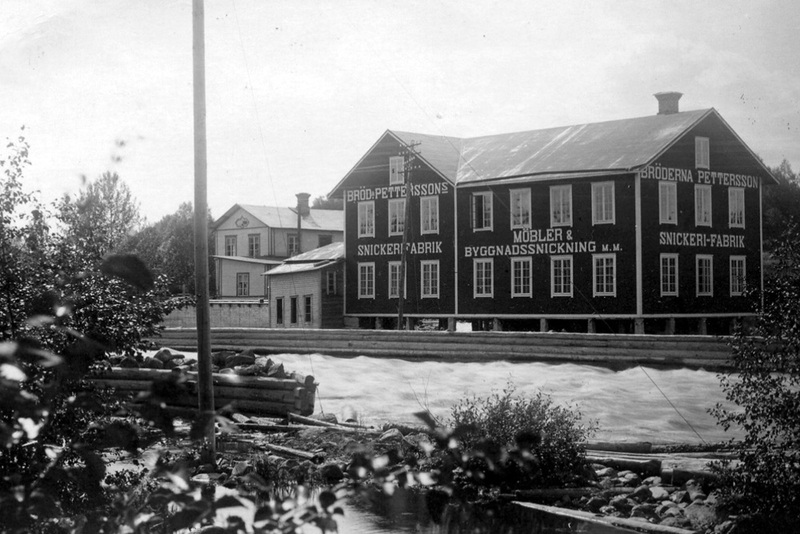 In 1899, craftsman Lars Fredrik Pettersson started a carpentry workshop producing furniture, doors and windows for the growing town of Edsbyn. In 1928 his son, Ivar Pettersson, took over and a new era began. Ivar Pettersson studied Henry Ford’s production line and was probably first in Sweden to implement professional processes, templates, fixing plates and workstations for industrialised furniture manufacture. In 1934, Edsbyn’s Ski Factory opened, although the company had been producing skis for the Swedish armed forces as early as 1905. “You’re making our skis! Can’t you make our office furniture too?” That’s what the armed forces asked Edsbyn. This was the background to Edsbyn becoming one of the Nordic region’s most popular brands for furnishing public spaces. A number of the period’s cross-country skiing stars were also associated with Edsbyn, and the company produced skis until 1984. But let’s return to the 1930s. At Edsbyn we know how important it is to make good use of resources – both our own and those of the natural world – and so we make Windsor chairs out of the waste wood from our ski production. Fanett was designed in 1956 by architect Ilmari Tapiovaara – and more than 5 million examples were sold. Here, Fanett is pictured with Miss Universe, Hillevi Rombin, who grew up in the neighbouring Hälsingland village of Alfta. Windsor chairs are also a good example of Edsbyn’s focus on contemporary functional furniture design. In the 1960s came swivel chairs designed by Sune Fromell and Jan Hallberg. These were unusual for the period, and very popular. In the late 1950s, the founder’s grandson Bengt Ivarsson took over the company, driving the expansion still further. This took place in phases and was crowned in 1967 with a highly automated ski factory, which made Edsbyn into a major industrial company. Over the decades the furniture series became larger, with the Avatar shelving system being a best-seller in American homes. In recent years, Edsbyn has focused on fittings for public environments and office furniture. In 1983, the newly renovated Swedish Parliament House was equipped with office furniture from the Combino series, which is one of Edsbyn’s most popular office furniture series, represented in 250,000 workplaces across the world. We understood system thinking right from the start. And it’s still an important aspect of today’s Edsbyn, because we manufacture office furniture and fittings for public spaces. At the same time, here at Edsbyn we’re good at adapting office furniture to the architect’s ideas and the customer’s needs. With our roots in strong craft traditions, at Edsbyn we have been making furniture for Sweden and the rest of the world since 1899. We have embraced rapid modern manufacturing methods, but never compromise on our ability to offer customer adapted furniture. Today we embody our Nordic inheritance through leading designers such as Jens Fager, Andreas Engesvik and Thomas Eriksson Arkitekter, delivering furniture with modern Nordic design and function to world-class companies and organisations.